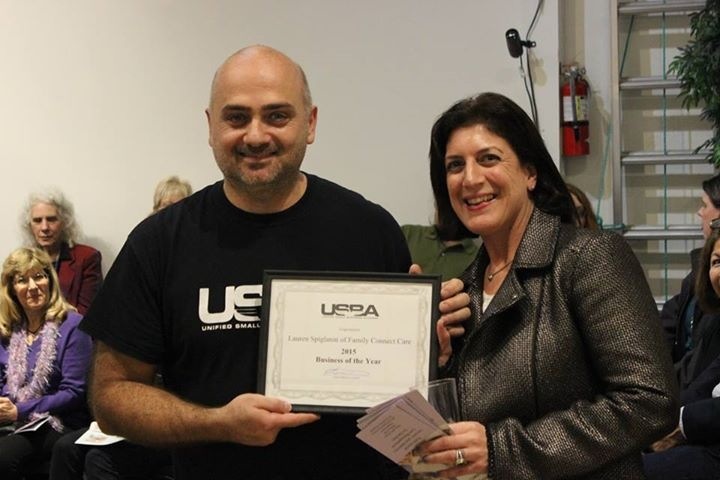 Family Connect Care is pleased to be the recipient of the Unified Small Business Alliance (USBA) 2015 Business of the Year Award. Thank you, Aurelio Mattucci and the USBA for your acknowledgement and all you do to enhance small business. The Unified Small Business Alliance fights to Create, Restore and Maintain a Healthy Business Environment. Learn more about them at https://www.facebook.com/unifiedsba/timeline.